After a few months' hiatus, and taking advantage of a $10 discount code right before the 50% off coupon was released (grrrr), I re-subscribed to PopSugar Must Have. PopSugar Must Have is a monthly lifestyle sub box curated by the various editors of the PopSugar website. Each box is loosely organized around a theme, and features, per the Must Have website "the very best in home, fashion, and beauty." 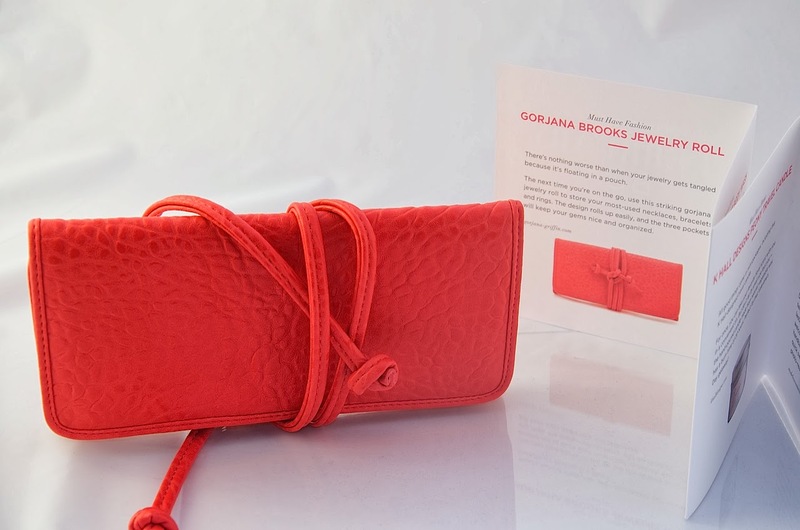 The majority of the included products are full-sized, from established brands, and great quality, which generally makes this box an excellent value at $39.95 plus tax. February is a wonderful time, and not just because it's the month of love. It's after the holiday rush but before all of Spring's activities, making it the perfect opportunity to sit back and treat yourself well. For that reason, you'll find beauty products ... [and] a little something (or two) for a romantic Valentine's Day celebration. Look at all that rosy goodness! 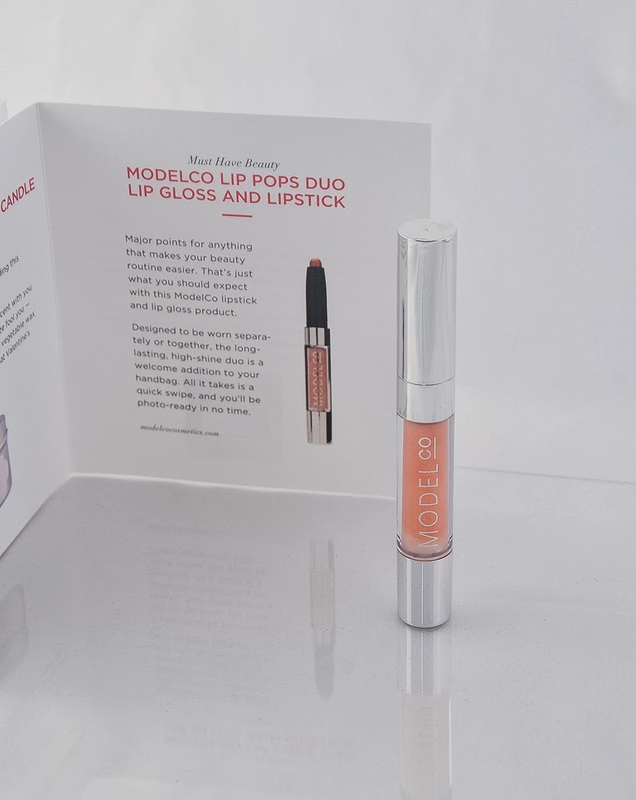 ModelCo Lip Pops Duo Lipgloss and Lipstick. About $10? I didn't see these sold individually on the ModelCo site. Before I tried ModelCo's Lip Luxe Duo, I was strictly a lipgloss-only girl. I'd never met a lipstick that didn't leave a dry, chalky, costumey mess on my lips, and I'd pretty much sworn it off altogether. And then, many moons ago, Glossybox sent me a Lip Luxe in Dusk, and I've barely allowed anything else on my lips since then (except for Carmex, my first and greatest love -- classy, huh?). I've worn my latest Lip Luxe tube to the barest nub, so I was SUPER excited to see this little guy, in my favorite shade and compete with its fresh new package design, peeking out of my Must Have. And my next-favorite thing? Ok, let's do this in descending order of excitement. If you couldn't already tell, I'm a sucker for cool packaging and product design, and this little box and its deceptively large companion box are just so pretty. I love those watercolory wildflowers and that retro logo font! Also, I'm a recent convert to face and body oils which, nowadays, are far from the greasy and sticky and gross baby oil stuff of yore. In fact, I've been using the La Prairie ice crystal dry oil I got in my limited-ed Glossybox every night before bed, and it's amazing stuff -- totally non-greasy, and it's absorbed instantly by my skin. 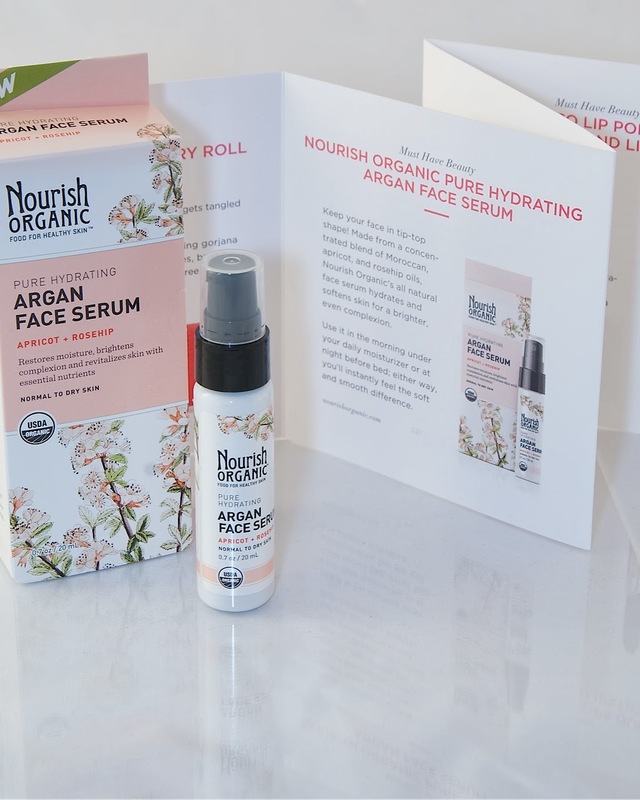 What I love about this Nourish Organic version is that it's made from organic oils, combining Moroccan, apricot, and rosehip into one powerful skin-loving cocktail. I haven't tried it so I can't vouch for it yet, but I'm excited to check it out. I rest my case. She's a keeper. 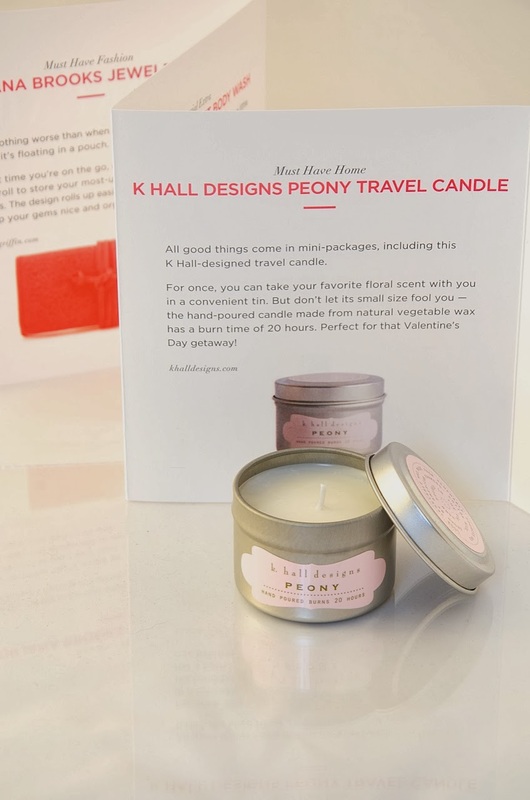 K Hall Designs Peony Travel Candle. $11. 2 oz. 2-inch diameter. In my humble opinion, one cannot have too many candles. I seriously can't get enough, and I'm pretty tolerant scent-wise -- it takes a particularly rank or cloying candle to turn me off. From this little tin wafts a rich floral scent, somewhere between jasmine and gardenia, with some sweet, soft base notes. It's really lovely and the perfect travel size, so I'm toting it to work tomorrow to liven and perfume up my office a bit. Sugarwish Mini Red Cinnamon Hearts. About $6.25 for this 1/4-lb bag, which I don't think is sold individually. 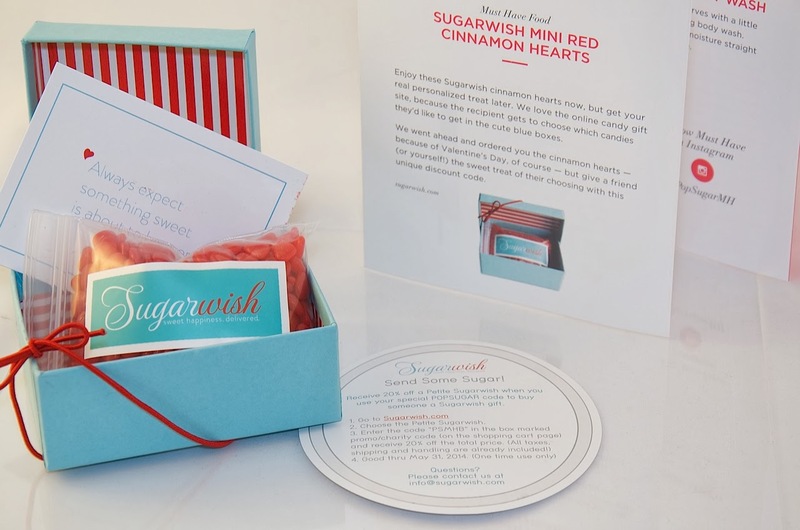 The packaging is gorgeous here, and I love the Sugarwish concept: you gift your loved one a voucher for either a Petite-, Classic-, or Ultimate-sized Sugarwish shipment, and your recipient gets to log onto the website and pick out a variety of his or her favorite candy from the site. Genius! And such an amazing Valentine's Day gift, especially coupled with the 20% discount coupon enclosed in the box (that's the round card under the box in the photo above)! Unfortunately, despite the cute presentation and my love for sweets, cinnamon candy is my kryptonite --I hate it,-- so these tiny heart-shaped candies were a bust for me. 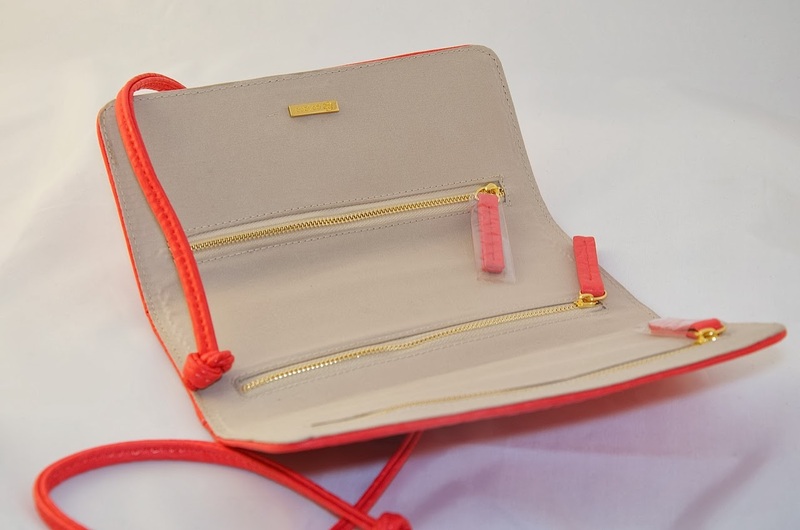 But I'll definitely be checking out Sugarwish; it would make such a fun and unexpected present! NCLA Rodeo Drive Royalty Nail Polish. I love nailpolish. As with candles, you really can't have too many, as hundreds of Julep obsessives will attest to. I've heard lots of good things about the NCLA brand, but haven't tried it so far. And this oxblood-red shade is incredibly wearable, both mani and pedi friendly, and just moody enough for winter. So I'm not entirely sure why I'm not very excited about receiving this bottle in my box. Many there are too many deep reds in my collection already, I don't know. I may add it to the rotation, I may swap it away. ...this bottle of Dial body wash. 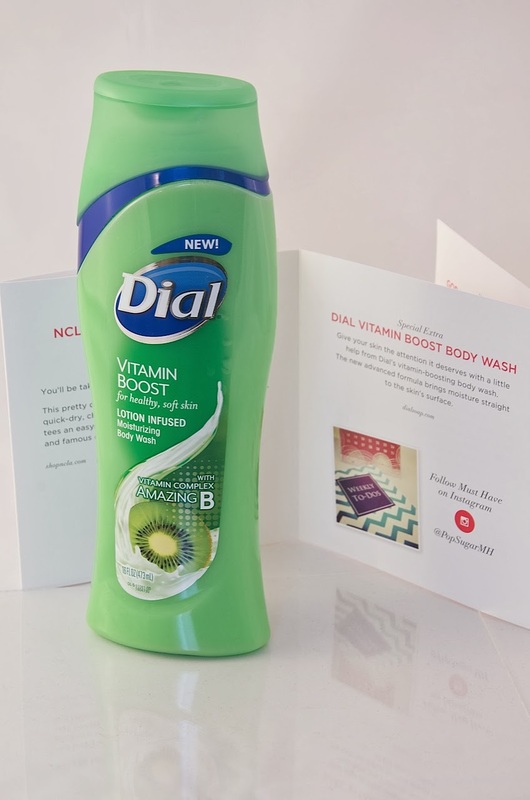 Dial Vitamin Boost Body Wash.
About $5.99 for a full-sized bottle. It looks like this Vitamin Boost body wash is brand-new, because I don't see it anywhere on the Dial website, and it doesn't seem to be available for purchase yet. It's always a bit of a thrill to get to test-drive a new product, for sure, but... I don't know, I don't mean to be all snooty, but I just didn't expect to get a drugstore body wash in my Must Have box. 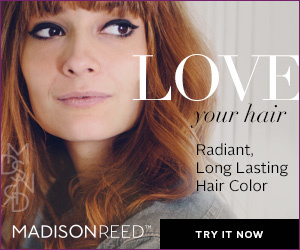 Especially not the Valentine's Day edition, you know? This big green giant stuck out like a sore thumb in my package of pretty pink and red things, so it's just a puzzling inclusion in an otherwise very nicely-curated box. The booklet lists it as a "special extra," so I imagine it must've been a last-minute inclusion, maybe a favor to the brand? I don't know. Don't get me wrong, it smells nice and I actually just ran out of my usual bodywash, so it's not like I won't use this - I just didn't really need expect something so ordinary and meh in my sub. 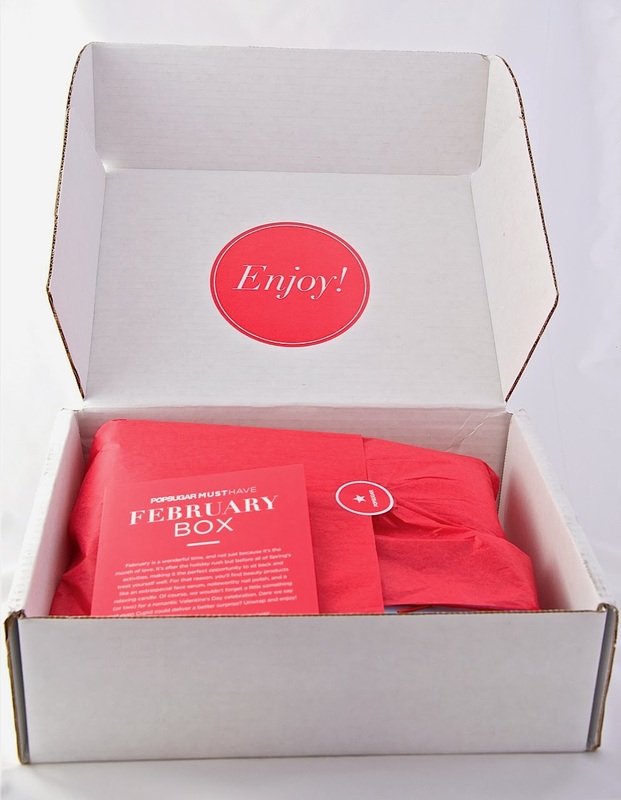 Overall, I loved the contents of my February PopSugar Must Have, and I think it adds up to a stellar value: over $118 worth of products for $39.95! I actually got my box for $10 less with a now-expired V-Day coupon, and there was a 50%-off discount code floating around for a while, but it appears they've both expired. You can still get $5 off by entering code REFER5 at checkout, which is a pretty good deal. 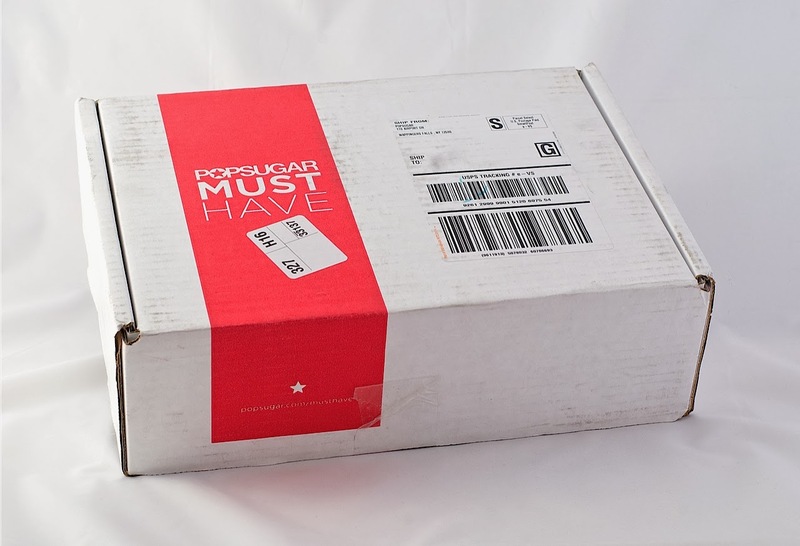 Feel free to use any of the PopSugar Must Have links sprinkled throughout this post to sign up for your new sub: they're affiliate links, so you'll be helping me earn credit towards more boxes to review on the site. What were you guys' impressions of the February Must Have? What did you think about PopSugar's inclusion of the Dial body wash? And what items were at the top of your list?